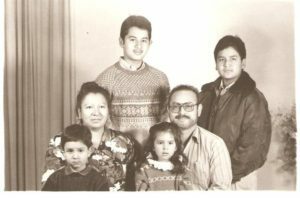 In 1983 while serving at a medical clinic operated by the National Presbyterian Church Health Program in the highlands of West Guatemala, Dr. Hugo and Miriam Gomez received an invitation to join Medical Ambassadors International (MAI). By February 1984 Dr. Gomez was working full-time with MAI doing Community Health Evangelism (CHE) among the Mam and Quiche indigenous peoples living in villages scattered throughout Western Guatemala. For the next 8 years Dr. Hugo and Miriam Gomez were faithful in their work in Guatemala. In 1992, doors began to open for Dr. Hugo to begin teaching CHE across Latin America. In 1995 MAI appointed the Gomez’s to oversee the entire Meso-American region. The work of Dr. Gomez with MAI (who later changed their name to LifeWind) continued until 2008, when Lifewind called several people and churches to consider forming the CHE Meso-America Partnership. It was out of this original partnership that Global CHE Enterprises was born. In 2009 Global CHE Enterprises became a non-profit organization and joined the Alliance for Transformational Ministry (ATM). ATM is an alliance of ministries committed to using the strategies of Community Health Evangelism in the expansion of God’s Kingdom around the world. Today the work of Global CHE Enterprises includes ministry in 8 countries in Meso-America. Dr. Hugo and Miriam Gomez lead a team of 45 staff and over 575 active volunteers. More than 50 villages have already completed the CHE program and 52 villages in Meso-America are currently “doing CHE”. People are being taught to be followers of Jesus and whole communities are being lifted out of cycles of poverty and disease. As a result, just in the last three years, more than 1,500 people made professions of faith in Christ, 25 new churches were planted, and thousands of people experienced greater health and dignity. The vision of Global CHE Enterprises is to see CHE transform the lives of all the indigenous peoples of Meso-America whether they live in rural villages or urban communities.